Finally getting back into the spirit. Life in general has kept me from woodworking for awhile. Sometimes you have to give it a rest. The weather is good today, and I feel like getting on with this project. The idea for these cabinets have changed a bit since post 2. Actually they have changed a lot. I am not going to use the broken panels I created in post 2. They will be used for something else in the future. I am starting with the top bookcase portion. 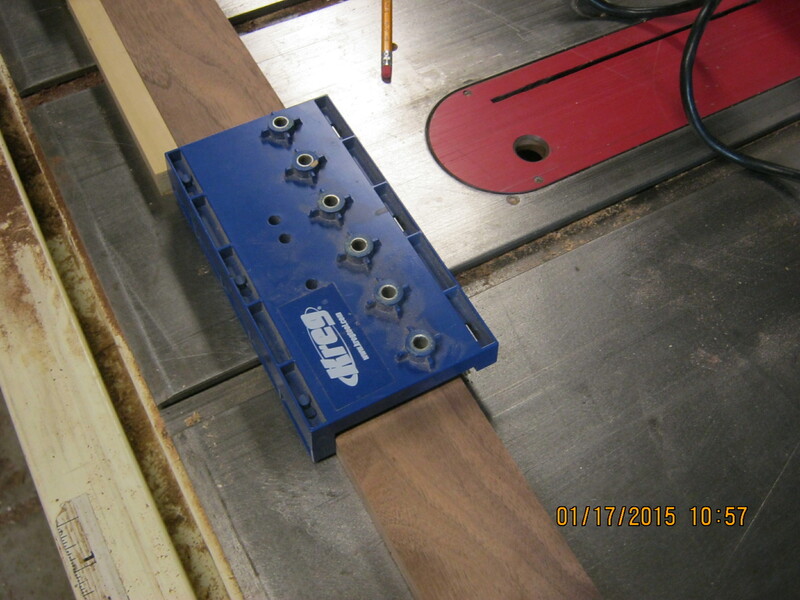 The first thing I am doing is milling the lumber for the sides that hold the pins that support the shelves. In the past I have forgotten this step until the case is finished. Putting the shelf holes in a finished cabinet is much more difficult believe me. Never again. 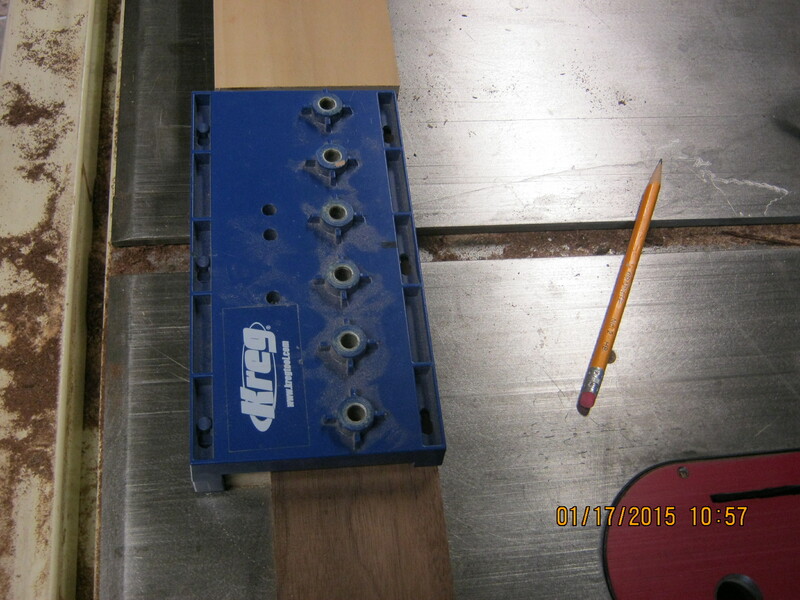 Kreg makes a very handy little gadget for this operation. I purchased this when I was creating the Library bookshelves. As you can see the holes will be on the edge of my board if I use the system as is. 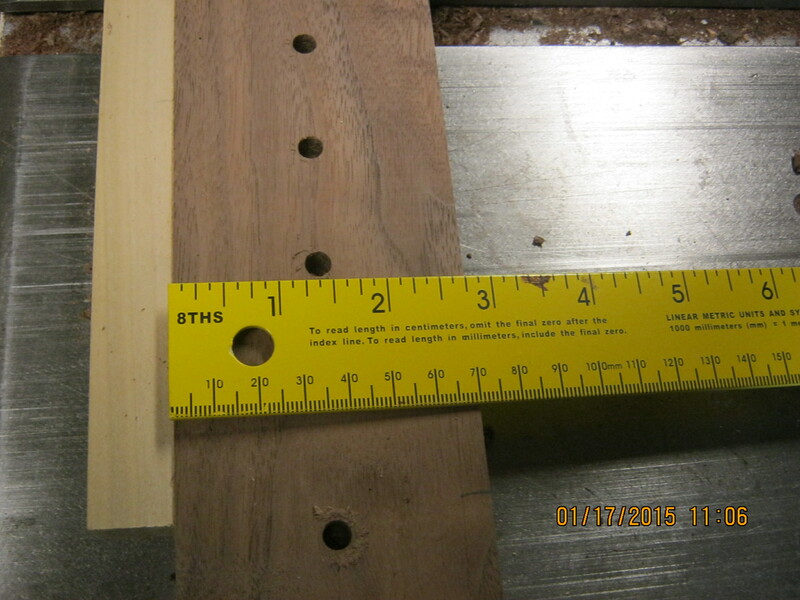 I have cut a spacer that will place the holes in the middle. 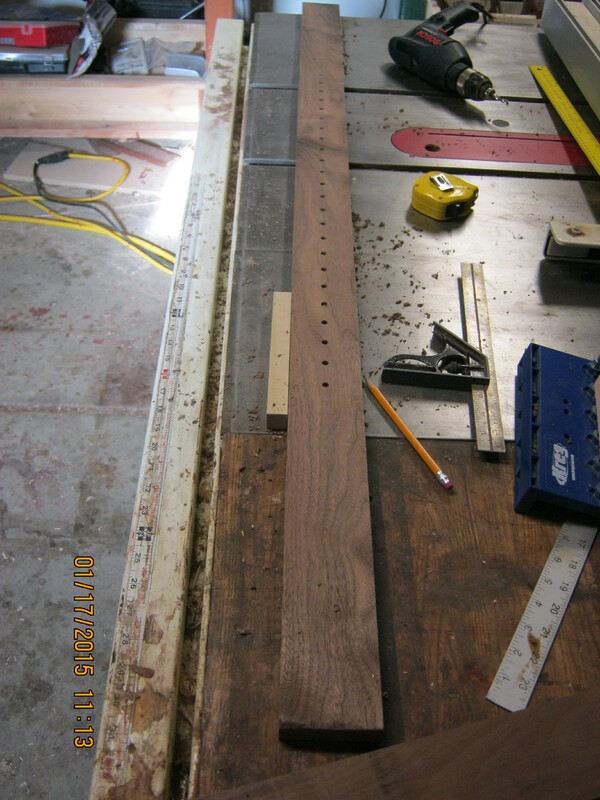 The boards will have 24 holes that will allow for 3 shelves/ four spaces of adequate height. 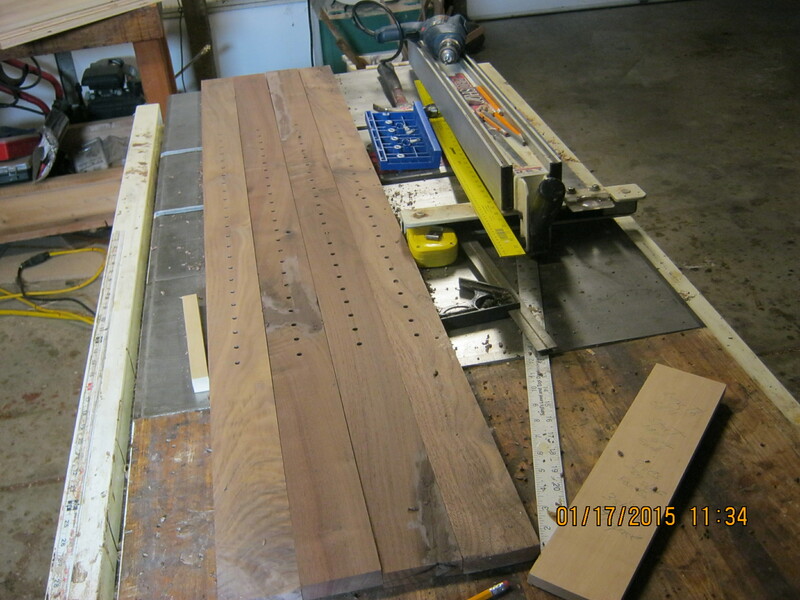 The holes will start at 13 inches from the top on each board. This assures they are all in the same position. We don;t want crooked shelves, This takes about 15 minutes after all is set up. This is a very important aspect of this project, that one does not want to leave out until the cabs are finished. Assembling the sides can now be easily accomplished. Mark nice to see the work you are doing. It’s good to hear from you also Jane, hope all is well. 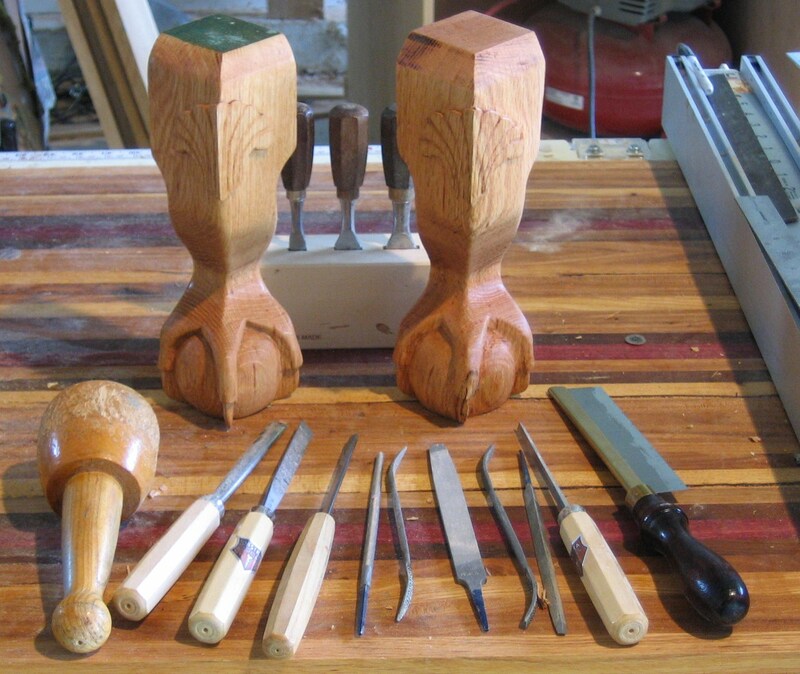 This entry was posted on January 17, 2015 by Crabtree Woodworks in Handmade wood furniture and tagged Art, ball and claw leg, Book case, bookcase, bookshelves, Chest of Drawers, china cabinet, cross cut, curio, Desk, Dovetail joinery, drawer, Dresser, Fine Woodworking, Furniture, Hand Made Furniture, handmade furniture, home remodeling, hutch, Incra, LEGOs, library, library ladder, mortise and tenon, newel post, picture frame, Popular Woodworking, porch post, Projects, Queen size bed, quilt, Quilt Case, Quilt Display, quilt making, quilting, quilts, secretary desk, table saw sled, Victorian bed, Victorian Furniture, Victorian home, Vintage Decor, Walnut, Wichita, Wood carving, wood lathe, Woodcraft, Woodworking, Woodworking Plans, Woodworking size bed, workbench LEGO table.